2 Introduction Also called the introductory paragraph. 3 Body Paragraph A middle paragraph in an essay. 5 Conclusion Also called the concluding paragraph. The last paragraph in your essay. It may sum up your ideas, …reflect on what you said in your essay, …give more commentary about your subject, …or give a personal statement about the subject. 6 Conclusion (cont.) 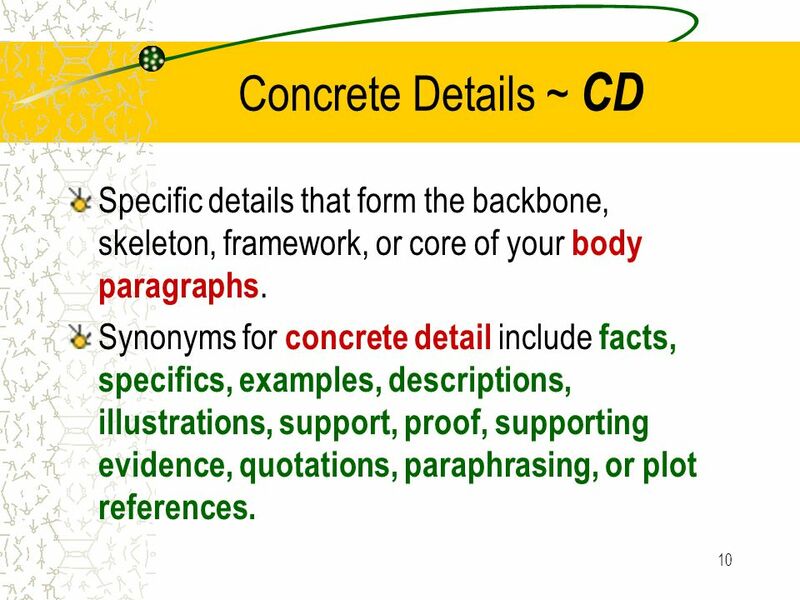 Your conclusion is ALL commentary and does NOT include concrete detail. 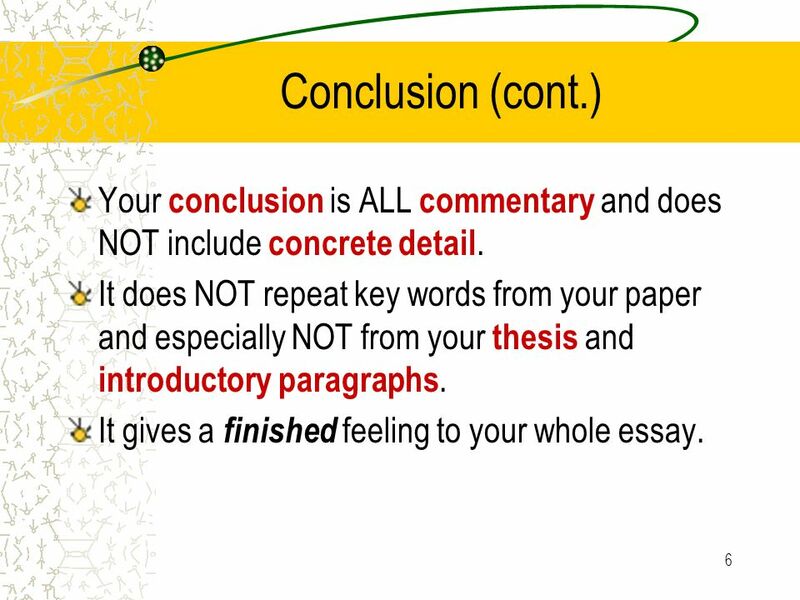 It does NOT repeat key words from your paper and especially NOT from your thesis and introductory paragraphs. It gives a finished feeling to your whole essay. 7 Conclusion (cont.) 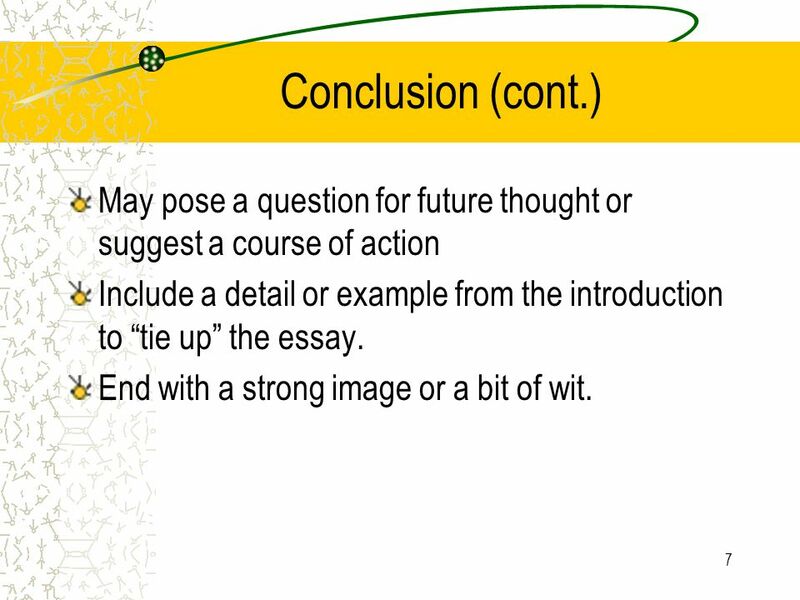 May pose a question for future thought or suggest a course of action Include a detail or example from the introduction to “tie up” the essay. End with a strong image or a bit of wit. This comes somewhere in you introductory paragraph and most often at the end. 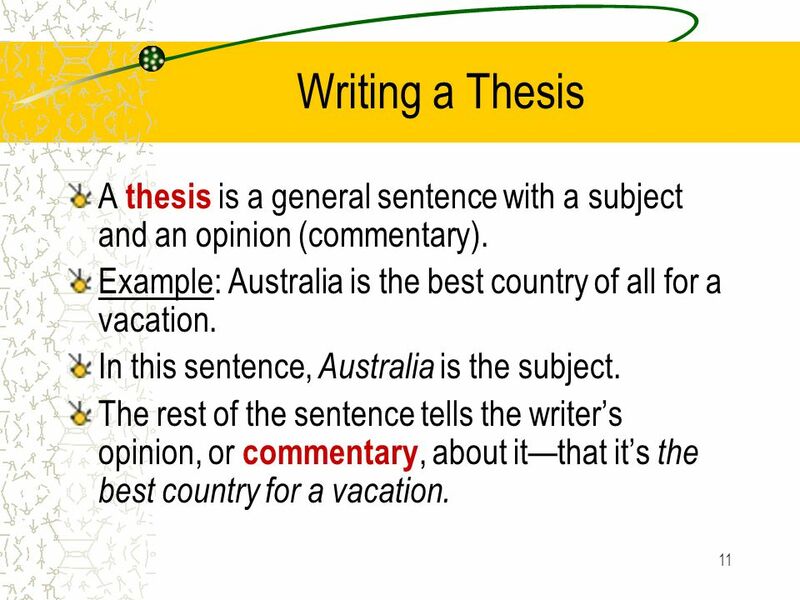 11 Writing a Thesis A thesis is a general sentence with a subject and an opinion (commentary). Example: Australia is the best country of all for a vacation. In this sentence, Australia is the subject. The rest of the sentence tells the writer’s opinion, or commentary, about it—that it’s the best country for a vacation. 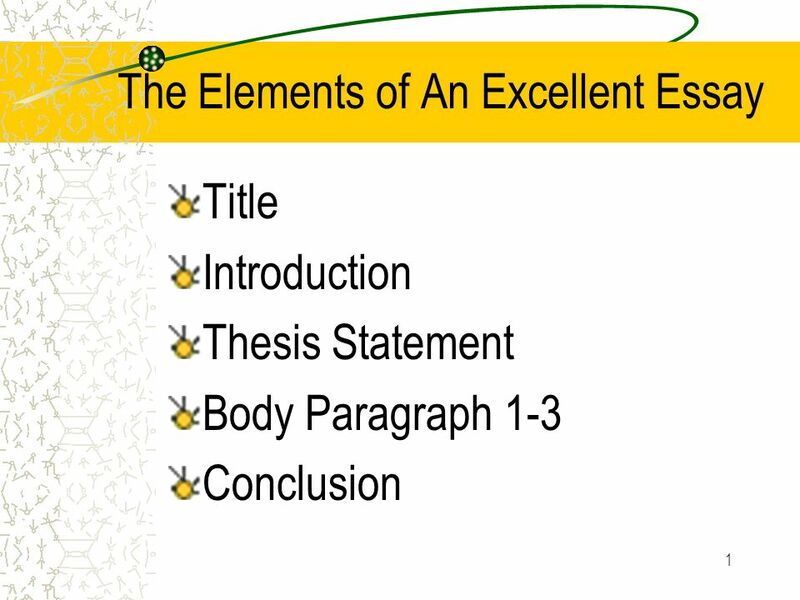 Download ppt "The Elements of An Excellent Essay"
EXCELLENT ESSAY Elements of an. 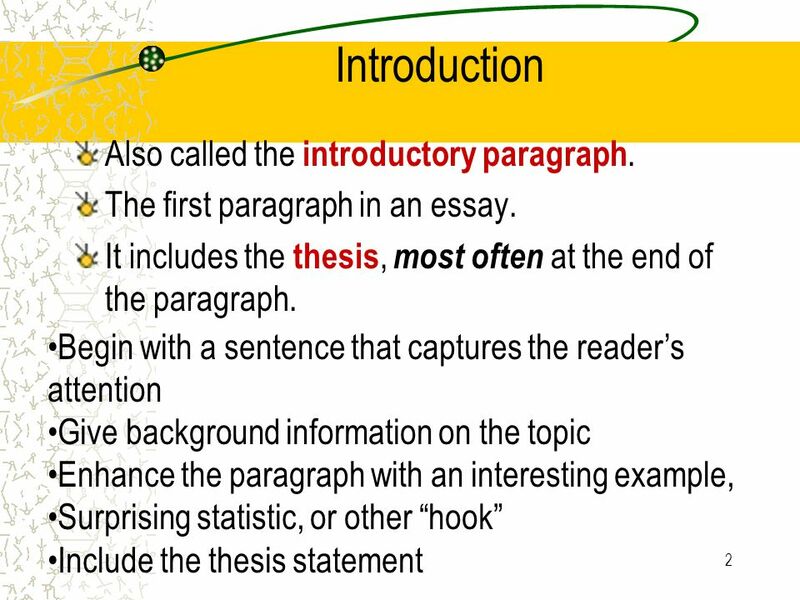 Introduction The introduction includes: A hook (or lead)—to get the reader’s attention A general discussion or overview. Multi-paragraph Essay Terminology English. 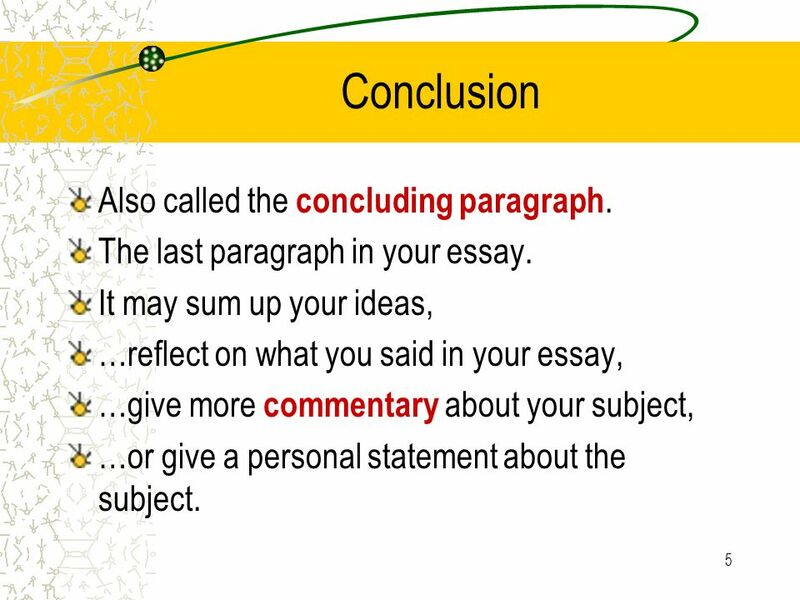 essay a piece of writing that gives your thoughts (commentary) about a subject. Expository Essay Basics. General Bckgrnd Info. 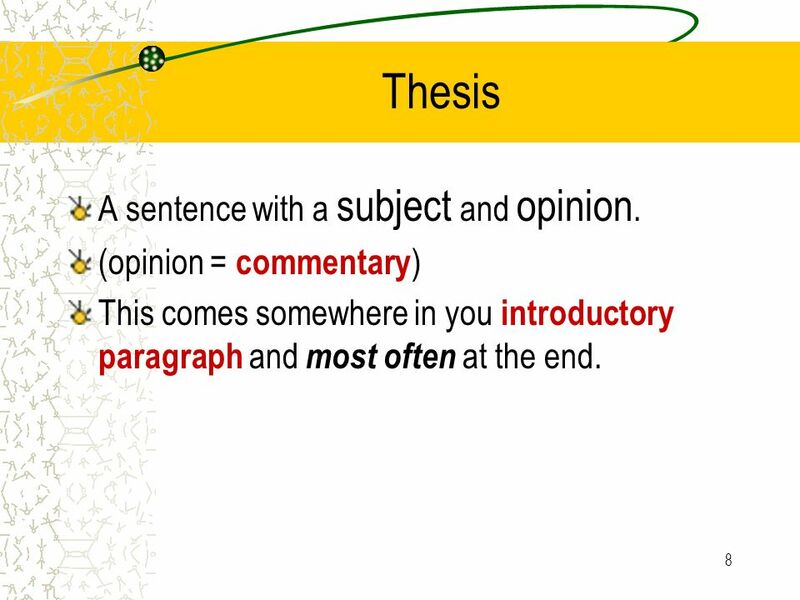  Specific Thesis Statement INTRO Topic Sentence Balance of CD/CM BODY PARAGRAPHS Restate thesis statement. Response to Literature Essay Writing. Directions Copy everything that is underlined on page 2R. Essay Terminology. CONCLUDING PARAGRAPH ESSAYTOPIC SENTENCE DETAILED OUTLINE INTRODUCTIONTHESISCONCLUDING SENTENCE FIRST DRAFT BODY PARAGRAPH PRE- WRITING. The Body Paragraph. 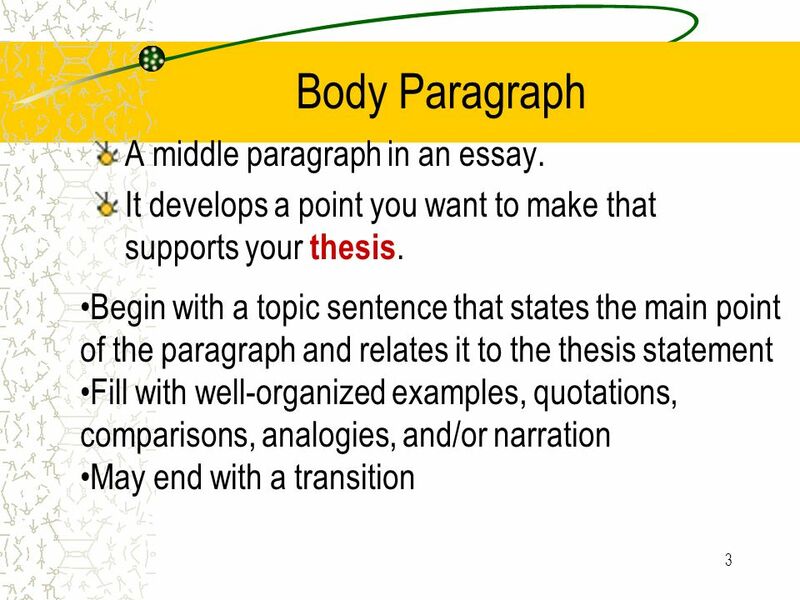 A body paragraph is the basic paragraph of a research paper or an essay. Body paragraphs are all the paragraphs between the introductory. Response to Literature Essay Writing. Intro. 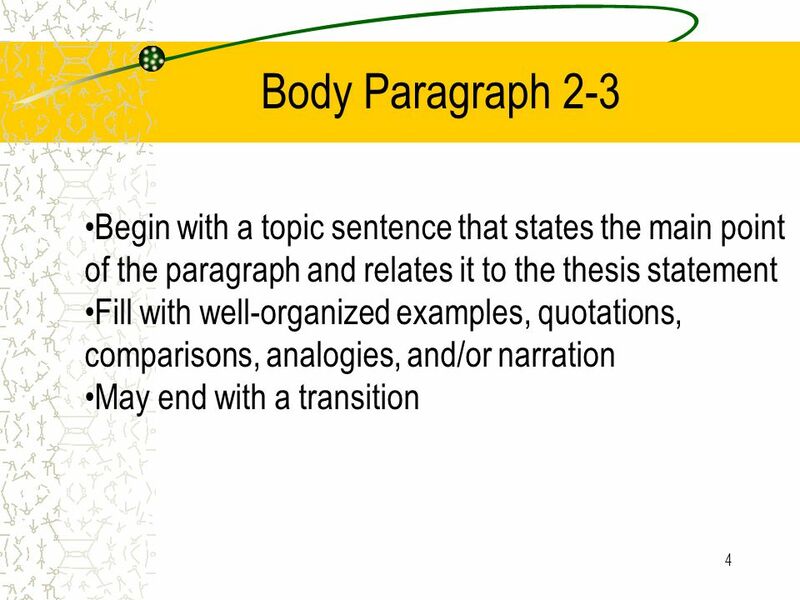 Paragraph with thesis statement* Body Par. #1 Body Par. #2 Body Par. #3 (optional) Concluding Paragraph. Jane Schaffer Writing Terms Tracy Unified School District Adopted Writing Program.